Like a scene out of a Tolkien novel a mythical happening took place in Middle Tennessee on Saturday, July 2, 2016 with a Spock's Beard reunion concert at Morsefest held at New Life Church at 8655 Hwy 25, Cross Plains, Tennessee. It was an epic in the making as fans traveled from far off distant lands - Brazil, Mexico, Ohio and more to grasp the golden ring. The faithful were rewarded with the odyssey of Snow in its extravagant entirety. Morsefest was a two day event. Friday featured Unplugged Storytellers where Neal Morse, Nick D'Virgilio, Casey McPherson and Eric Gillette shared insights behind their music. Saturday was the much anticipated Spock's Beard show. Spock's Beard takes the stage in Cross Plains, TN for an historic night of music. Snow was the sixth studio album from Spock's Beard. 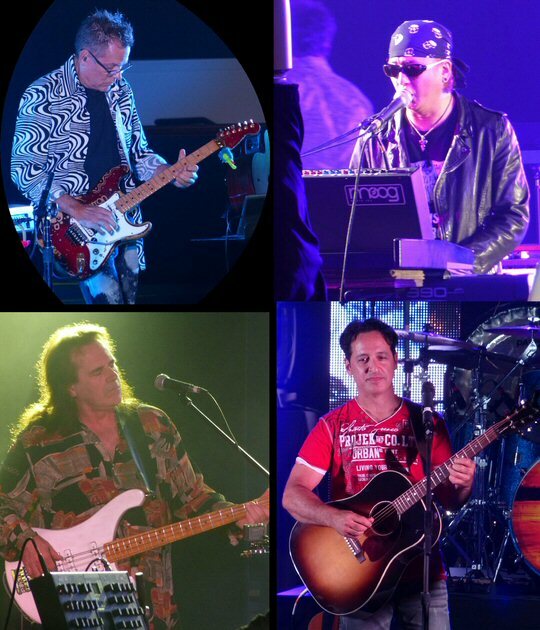 It was also the last record that Neal Morse wrote with the band before his conversion to Christianity. In 2001, Neal felt the call to focus more on his family and faith. Spock's Beard was left to carry on without their main songwriter which they successfully have done. Morse did well as a solo artist melding praise and progressive music together. Neal also collaborated on a number of respectable projects including Transatlantic and Flying Colors. The story of Snow goes something like this. "Some things happen by chance, but, chances are there's a reason for that too. Take for example the boy that was born John Sikeston who became the famous (or infamous depending on who you are) Snow. People call him that because he has a slight Albino appearance and I believe it was his little sister who coined the nickname to torment him. But, as fate would have it, this little piece of torture stuck for life." On Saturday night we followed Snow into adulthood, fame, failure and redemption. Very much a human story but also a faith journey. Spiritual metaphors abounded in this complex concept album with clues pointing in the direction that Neal would take although his departure from Spock's Beard shocked many at the time. 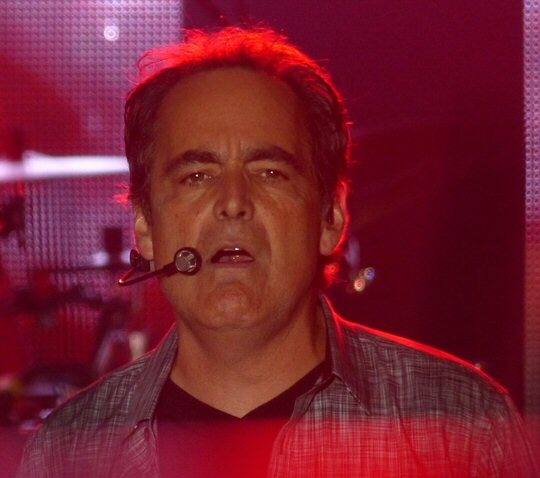 Neal Morse switched between keyboards and guitars as Snow fell north of Music City. If you were not able to travel to Middle Tennessee have no fear because the reunion show was filmed and recorded for a future release. The church had full lighting and sound rigs which were utilized to full effect throughout the concert. Before the show a few lucky fans won signed drum heads and vinyl. As the lights dimmed in church there was hush as this attentive audience prepared to meet Snow. The crowd was up and down the entire evening, on their feet for the more rocking numbers and seated for the softer moments. Spock's Beard triumphed as their enterprise began a new phase at Morsefest 2016. Spock's Beard had their phasers set to "stunning". The sound was crisp as disc one unfolded with horns, layered instrumentals along with those signature multi-part harmonies. Neal often handled lead vocals. He also switched between guitars and keys throughout the storytelling. There were many out of this world moments including the serious yet stellar "Solitary Soul" a song full of expression paired with expansive musical passages flowing into the hopeful and winsome "Wind At My Back". 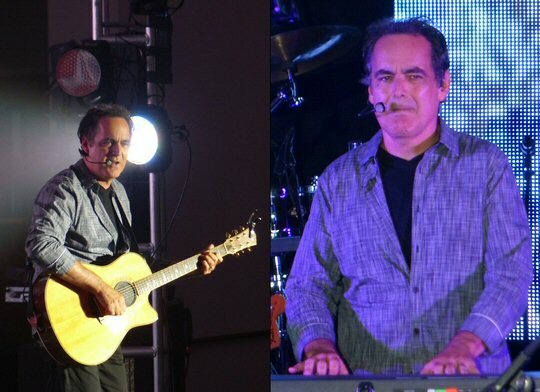 Neal Morse was the creative force behind the original incarnation of Spock's Beard. After a short intermission Snow had more challenges to face in complex compositions such as the disturbing yet dynamic "I'm The Guy" and the compelling "Looking For Answers". The music meanders as Snow healed, fell in love, went crazy but was "Made Alive Again/Wind At My Back" as his story concluded. The encore featured past and present members of Spock's Beard performing a medley that included the ever-popular "June". Snow was a two disc odyssey when it was released and to see a group able to reproduce this innovative music in a live setting was epic. But, that is what progressive bands do. Spock's Beard affirmed their standing in this select community in church on Saturday night. It was a special moment but why now? The answer is logical. Neal left the band to pursue a spiritual path. Morse at this stage in his life is well-established in melding his faith into his solo work along with his music in prog super groups Transatlantic and Flying Colors. Interestingly, Mike Portnoy one of the biggest cheerleaders for Spock's Beard early on joined Neal for all of these projects but lately Mike has been busy growing the cult of The Winery Dogs and filling in on drums with Twister Sister. So perhaps it's more than chance that Neal Morse will rejoin Spock's Beard for another episode. At one point, Neal did exclaim, "Oh man, I might have to go out with these guys!" Time will tell if the next generation of the band is on deck for Spock's Beard. If so, they got things launched at warp speed at Morsefest 2016. A successful Morsefest III is in the books.